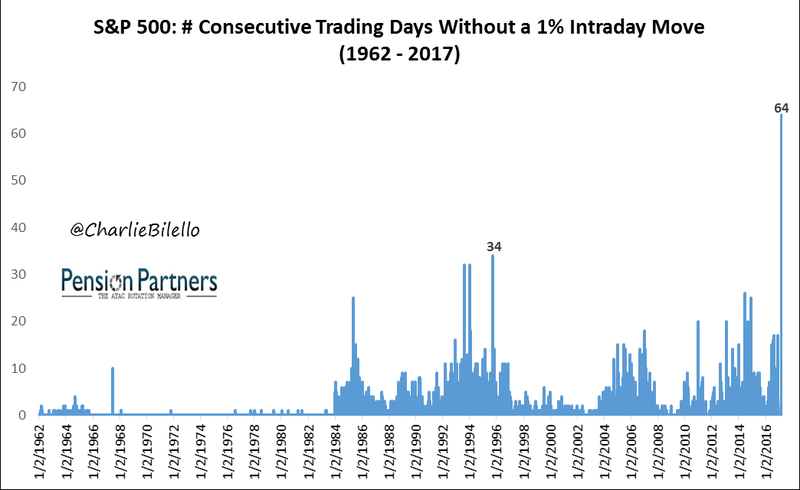 However, investors should avoid panicking after last week’s drop in the market because the selloff occurred following 64 consecutive trading days without an intraday decline of at least 1 percent, one of the most “tranquil” periods for the market on record. 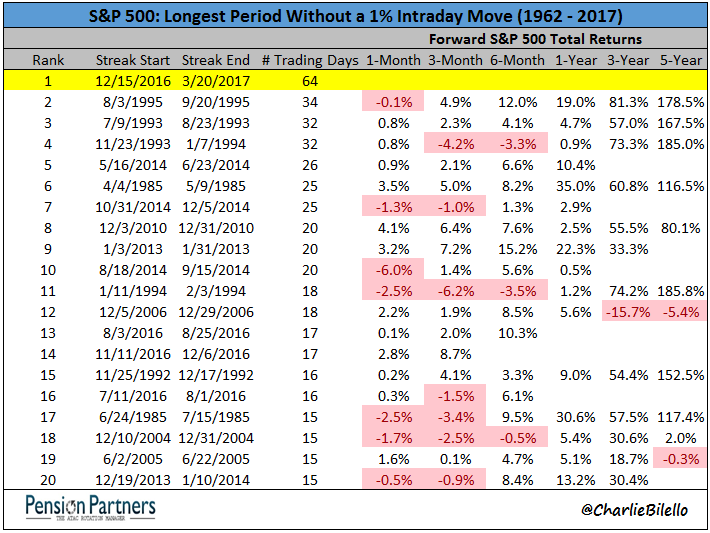 Further, a look at the end of prior low volatility streaks reveals that forward returns have generally been positive. 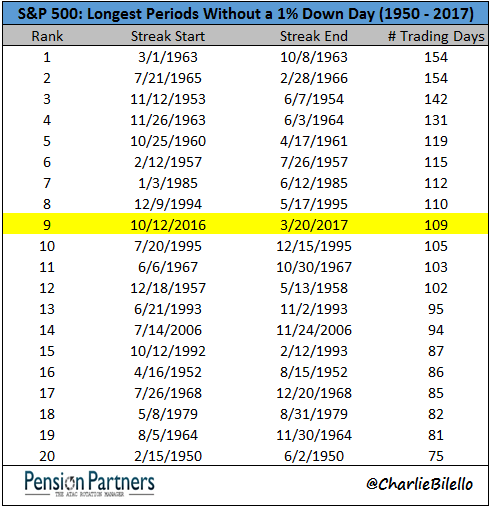 That does not mean that stocks cannot continue to decline from here but rather that additional selling has historically not been typical. 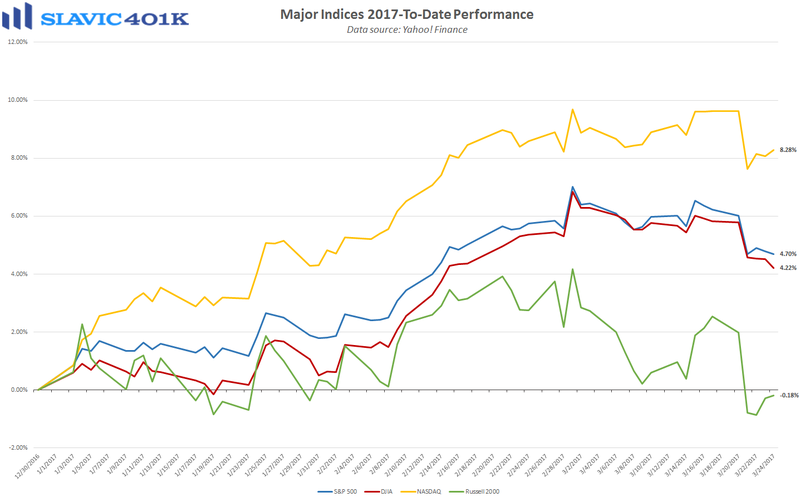 More importantly, if you are losing sleep due to a 1 percent drawdown in the S&P 500, it could be a sign that you are holding too much risk in your investment portfolio, e.g. 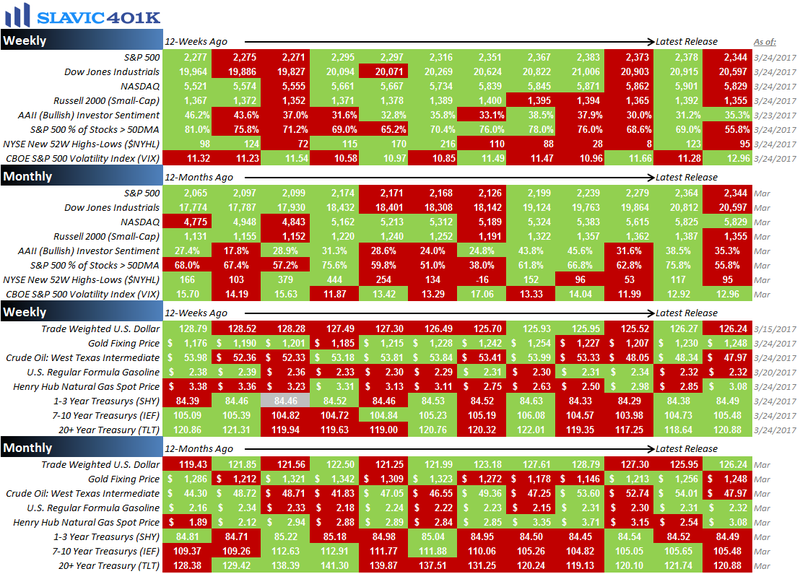 too high of a percentage of equities. Regularly consulting with a professional financial advisor can help make sure that your positioning is appropriate for you age and unique risk appetite. It is also important to understand that selloffs are far from uncommon. 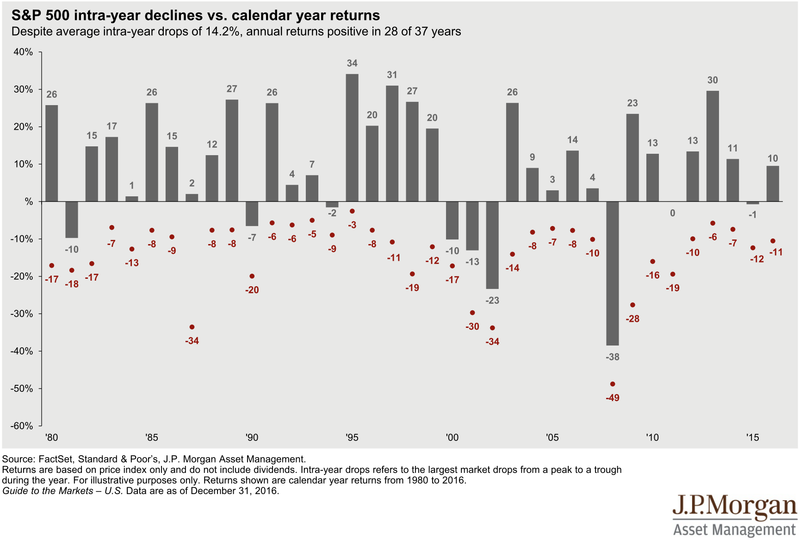 For example, the S&P 500 has experienced an average intra-year drawdown of 14.2 percent since 1980 but ended the year with a positive annual return 76 percent of the time. This is why retirement investors should focus less on short-term fluctuations in the market and more on the long-term goal of amassing wealth. Such an endeavor can be aided by consistent participation in tax-advantaged savings vehicles and dollar-cost averaging. As always, we are here to help with any questions you may have. To recap a few of the things we learned about the economy last week, the positives included that new home sales rose, housing inflation moderated, regional manufacturing activity improved, and demand for U.S.-manufactured durable goods increased. 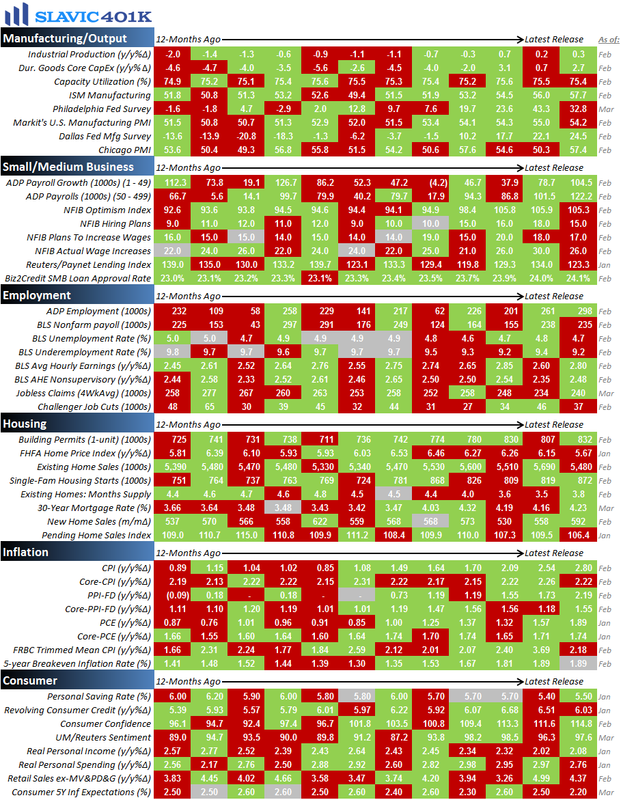 As for the negatives, mortgage and refinance applications declined, existing home sales fell, durable goods orders excluding transportation disappointed forecasts, core capital expenditures unexpectedly contracted, and the number of Americans making first-time claims for unemployment benefits jumped. This week the pace of economic data picks up with several important reports on manufacturing, housing, employment, consumers, and inflation scheduled to be released, along with the final revision to the government’s estimate of U.S. gross domestic product (GDP) growth in the fourth quarter of 2016, due out this Thursday.